Labour staffers on short-term contracts are forced to use food banks and payday lenders, a party employee has told LabourList. In a comment piece published exclusively by LabourList today, an employee of Labour’s National Communications Centre in Newcastle urged readers to support their demands for better employment practices. Staff members are “employed as on as little as 12 hours a week” and some “don’t know how many hours they will work” from week to week, they revealed. “These are colleagues who have contracts lasting as little as two months outside of election time,” the anonymous employee wrote. But the complaints raised primarily relate to the nature of the employment contracts and other practices. For instance, workers are given very short notice – one example was just half an hour – of overtime shifts, which are allocated on a first-come, first-served basis. 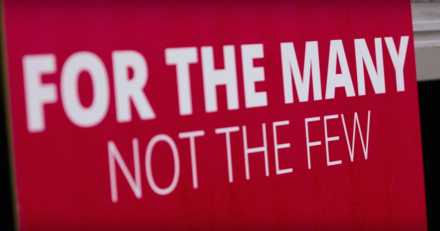 Although Labour says its workplace is unionised and the party recognises Unite and the GMB for collective bargaining purposes, LabourList understands that employees have been involved in a protracted dispute with management that is yet to be resolved. The Newcastle employees concerned, who largely provide support to membership services and the correspondence team, are understood to be seeking a meeting with management and general secretary Jennie Formby. The anonymous author of the LabourList piece hopes to build support for their demands and encourages Labour members to write to Formby. Young Labour chair Miriam Mirwitch has tweeted to express solidarity and confirmed she will be writing to the general secretary in support of the party staffers.